A couple of weeks ago I wrote a preview to Monster Hunter World in which I described what the game is about, the main plot, how progression works and the main hook in the game. It was written thinking about people who have never played Monster Hunter before. Now that I have finally beaten the game let’s go over everything that’s new, what has been improved and what still needs to be improved. So, if you’re unfamiliar please check my preview, but if you are familiar with the franchise and want to see how World compares to past entries, then let’s get started! As I mentioned during my preview, the story on Monster Hunter World is not really important and to be honest it’s very bland. Everything is just an excuse for you to kill a certain monster, but other than that there is nice intrigue related to Zora Magdaros, the giant monster we’re following from the start, and how its energy affects the New World. This eventually leads to the appearance of elder dragons and the final boss. At the end it’s not like the final boss has any relationship with you, this is not a story-based game, but at least it’s cohesive and while the plot is not particularly good it doesn’t impact the game negatively. The gameplay however, is the best that the franchise has ever seen. For starters forget about loading times while chasing the monsters. Now there is a single loading time for the map and then you can explore uninterrupted. The maps also offer more than one camp unlike in past entries and it got several upgrades as well. First you can now eat at any camp during a quest. In past iterations if you forgot to eat you had to cancel the quest and go back to town so this is now gone. Also in the camp you can change your equipment entirely and restock items. This is another huge upgrade since you can change your weapon or equipment to suit your needs on the hunt. It’s extra useful if you’re hunting several monsters with different elements or weaknesses. You can also fast travel to any of the camps available as long as you’re not in combat, which does reduce traveling time when a monster escapes. And finally, when you finish a quest there is an option to stay on the map and continue taking quests from there, an extremely useful option when you have to kill the same monster a couple of times, as it saves a lot of time by not having to load the map all over again. Not only has the map improved but tracking the monsters is also a lot easier now. Monster Hunter World introduces Scout Flies to the franchise. These are a group of fireflies that you carry and will lead you to the monster. At first they will lead you to traces left by the monster like footprints or hair, but as you find more clues the Scout Flies will eventually lead you to the monster directly. Since this game’s maps are a lot bigger than in past entries this really helps track the monsters faster, but is also more fun to actually have to look up for clues in the map. This is not the only new tool that you have available. Now you also carry a slingshot with you that is used to throw rocks that you can pick up on the map, bombs, or other useful items. This become essential to use with items like flashpods, which will create a flash of light that blinds the monster, or to activate some of the new environmental traps. In the New World there are many dangers to both monsters and hunters alike. On some areas you may find rocks that are hanging from vines, and with the use of the slingshot you can make it fall on a monster, dealing massive damage. And this is just one example, there are also vines where a monster can be trapped momentarily or even frogs that when attacked will paralyze anyone around them. This opens a whole new approach to the hunts as you have to be aware of your surroundings and take advantage of any of these elements that can help defeat your enemy more quickly. The last new tools that you have at your disposal this time around are the capes and boosters. These items are considered an equipment like armor and accessories and you can only carry one for most of the game. The boosters act like a water sprinkler that you put on the floor and will provide some benefit to any player that stands near it. The healing booster for example will heal you. The capes are items that you wear that will give you certain benefits for a certain amount of time, like fire protection or making you invincible to monsters for a bit. Both items have unlimited uses but they have a cooldown after each use, so use them wisely. Besides these new elements, combat at its core remains the same. There’s still a stamina bar that will be reduced when you run, dodge, or use certain attacks. Most weapons got new attacks or abilities making them more different and unique. For example I was a Switch-axe user in past entries. 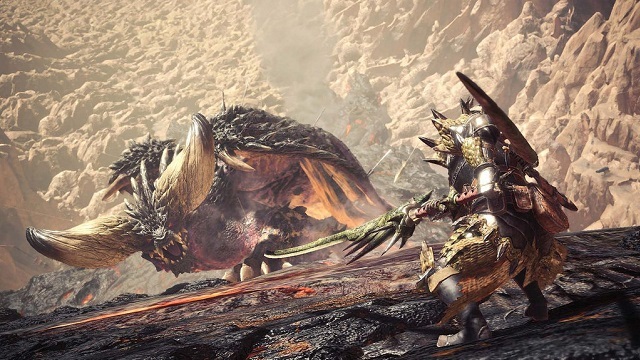 Monster Hunter World added more attacks in sword mode and the elemental explosion was reworked a bit, but everything else remains the same, same as with the other weapons from what I have discussed with some friends. Most of the other changes to the game are basically quality of life changes that don’t change the formula, but make things a bit easier. For example, you can set certain items to be crafted automatically. So if you collect 2 herbs the game will immediately convert them into a potion as long as you have room to carry it. 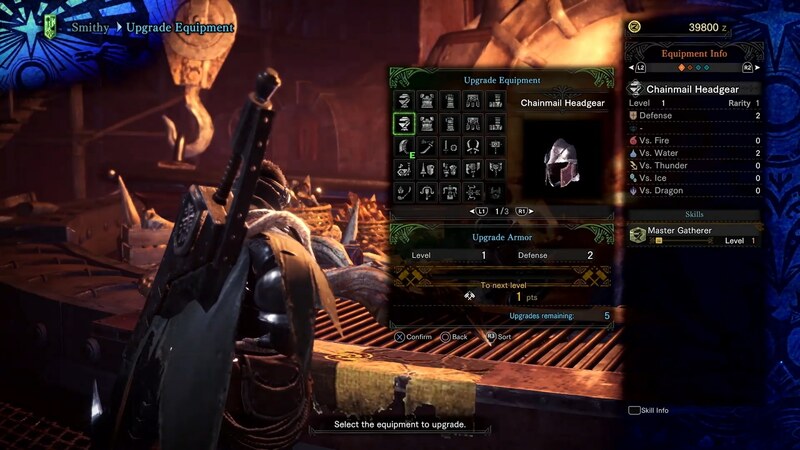 For weapon upgrades you can see the list of possible upgrade paths that you can take, so you can plan ahead for which monsters you need to hunt for their parts. And there is also a wishlist option so you can add a weapon or armor to it. And once you have all the parts needed to create it the game will notify you automatically. Since creating armors and weapons is a big part of the experience the game now has an internal database of the monsters to assist you in your planning. On it you can see what elements the monsters are weak to, which parts of their body are weaker to attacks, and even what items are dropped by them and how rare they are. While the game doesn’t tell you exact percentages it is a lot easier than having to go online to look up this information. 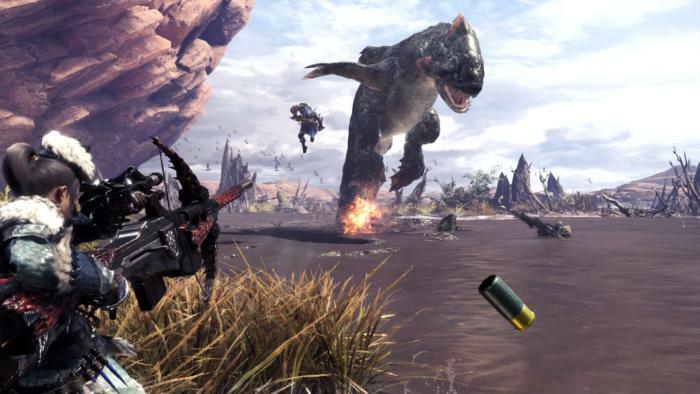 In past entries of Monster Hunter the game was divided between the offline and online modes. Offline was the single player in which you follow a certain story and learn the basics of the game, while the online element is where you could join other people and complete quests together, with monsters having an increased difficulty to balance the higher amount of players. 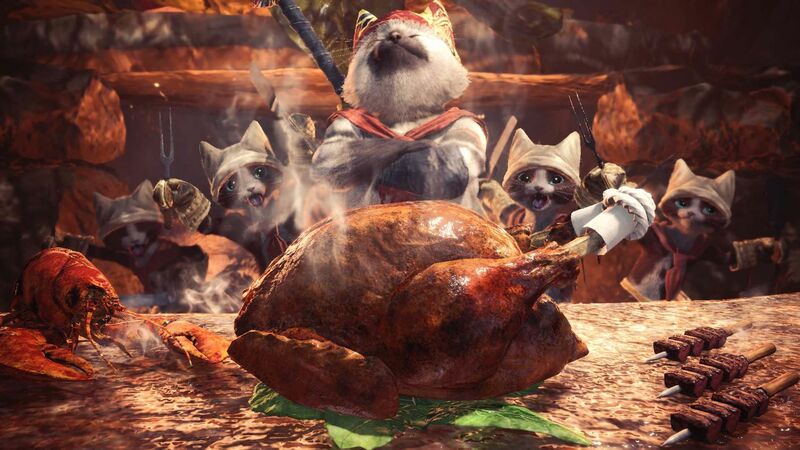 For Monster Hunter World Capcom decided to unify both single player and online, allowing you to theoretically complete the main story with friends. However this doesn’t work as simply as you may have hoped. The story-based quests, which are called Assigned Quests, can be taken as a group, but these usually have a in-game cinematic at the start. For example you may be tasked to hunt an Anjanath. When you choose the quest no one else can join you because you haven’t done it before. So you go alone. 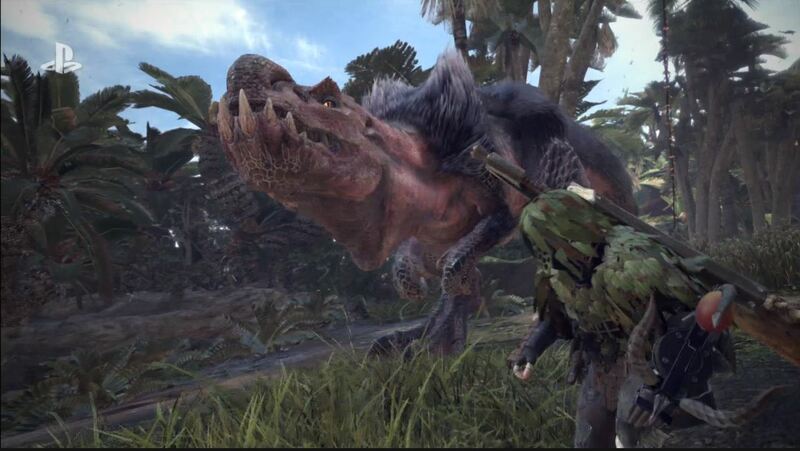 When you find the Anjanath there will be a quick scene where you see the creature, it finds you, or something along those lines. Until you finish watching this scene no one can join your quest. So, if you and a friend are completing the story together, both need to enter quest alone, watch the cinematic, then exit the quest and then they can finally go together as they both have seen the scene. While I understand why they did this, it’s a bit complicated at first trying to progress in the game together. Thankfully this problem doesn’t exist with optional quests, and people can even join a quest after you have started it, something that couldn’t be done before. The game will inform you that the difficulty will be adjusted since there are more players, but that’s about it. This is definitely one huge improvement in the game. Since both Single Player and Online have been unified when you start the game you will be asked to join an Online lobby. While you don’t have to play online at all, there is no option to simply choose to play alone and you have to create a private session if you want to do so. But if you always want to play with friends they included the option to create Squads. Squads are technically a list of friends that you can play with. When you select online session you can choose to join your Squad session, so if anyone in the Squad is in the session you will join them, or create a new session for the Squad if no one is around. When this works it’s great, but unfortunately it hasn’t been perfect for me. Sometimes it created a separate session for some players, so you end up playing alone while the rest of your friends are playing together. And the only way to fix this is by searching the session by ID which works exactly like Nintendo’s Friend-codes, which as everyone knows is a terrible system. The other problem with squads is that only the person who creates it can invite people to it, and they both need to be online on the same session to be invited. This is a bit complicated to get everyone on the same session together so you can invite them. It would be better to be able to appoint several Squad Leaders or invite people with just their PSN/Xbox handle. Considering this is their first time implementing this, it works okay, but many other games have done this before, so they could have taken inspiration from other developers to get it right. 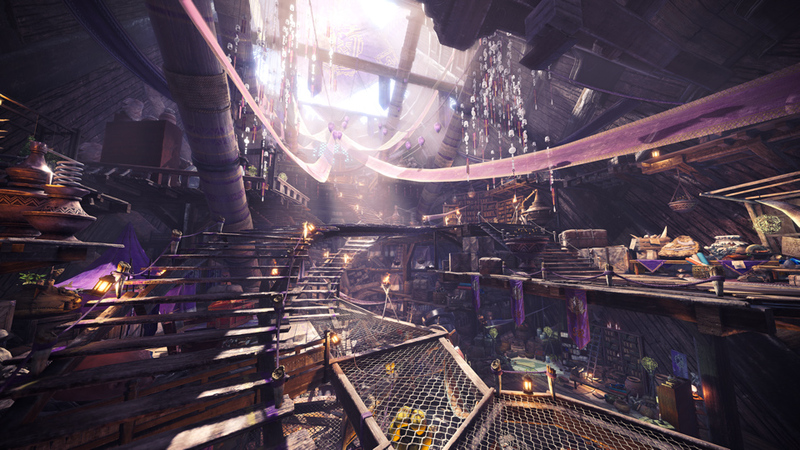 The in-game hub, the city of Astera, is divided into several sections. The canteen where you can eat, the workshop to create weapons and armor, the tradeyard to buy items and tools, and the gathering hall. In past games when you played online you joined a gathering hall where you can chat with the other players, eat before quests, joke around and play arm wrestling for fun. 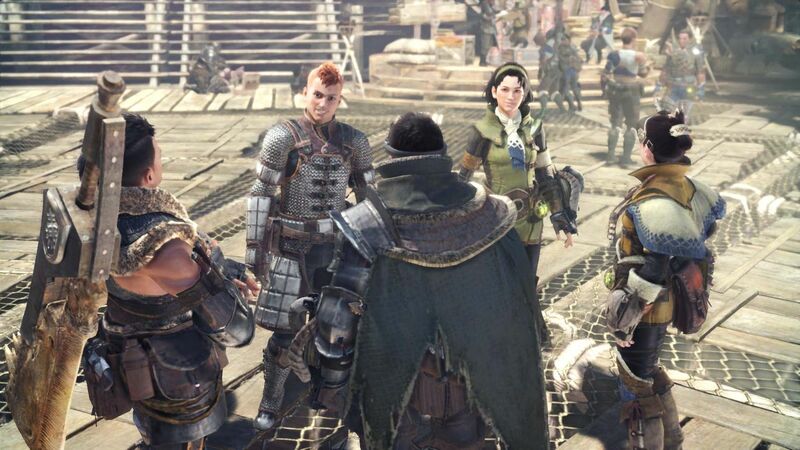 While this all can be done in Monster Hunter World, the problem is that when you finish a quest with someone else, you don’t return to the Gathering Hall, instead you are placed in the tradeyard, where you can’t see other players. While this is a minor thing and will not impact the game as you can accept quests from other players on different places in Astera, it makes the gathering hall a bit unnecessary compared to past games. Hopefully they can patch a way to choose where to return after a quest, but again this is definitely more of a niptick than an actual flaw of the game. In regards to the monsters, they have improved almost in every detail. Not only do the returning creatures look amazing with new models and textures, their attack patterns have been updated as well. For example the Rathalos, which is the red flying dragon, has the usual attacks that it had in past games. It still likes to fly around, throw fireballs at you and can poison you with its tail. But they included a couple of news moves as well to bring something new to this game. The new monsters are definitely fun and are distributed throughout all the game so you can always expect to see a new face around the corner. I feel that this game is a bit easier than past entries, but it didn’t stop my enjoyment. And if it’s too easy you can always hunt naked like the pros do. The audio department for Monster Hunter is a bit different that for most RPGs. As you can expect each monster has its own song that will play when you encounter them and the songs in this entry are really good. While some of them have a sound very similar to past songs, the third map in particular has a very progressive rock tone that is both new to the franchise and refreshing. The second part of the sound department that’s worth mentioning is the actual sound of the monsters. Each one has its own unique roar that normally will paralyze you. There’s a real dedication in creating unique roars for each monster but it’s just another small detail that makes this game stand out from others in the genre. It took me 130 hours to get to the end of the game, but I did all the available optional quests that I could, played quite a bit of multiplayer and farmed a couple of monsters several times. That being said it’s quite possible to beat the game in under 40 hours if you focus on the main quests only. 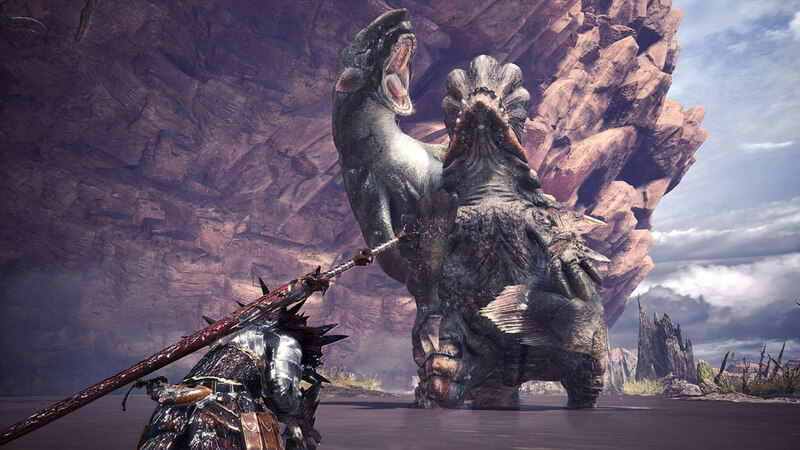 Once you beat the game, a new type of monsters are introduced called Tempered, which are stronger versions of existing monsters. While these simply do more damage it adds more content if you want to keep playing after the credits. Plus, defeating them may give you items to upgrade your weapons even further. While I had some problems with the online components and it has taken some time to adapt to this new “always connected” world, I feel that Capcom made the right decisions with this game. From the start there are no lootboxes so the only way to get better items is by farming them yourself. Also, there are weekly missions that grant coupons that can be traded for rare materials. 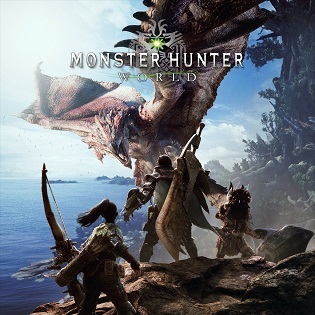 Capcom has said that it will continue to update the game with free new monsters and quests for the conceivable future, using paid DLC for cosmetic items only. This seems to be the best approach to online that they could have gone for with this game without cheapening the experience. The game is out for $60, and considering that it took me this long to go over everything that is new in this game and all the content, it feels like a great deal to me. 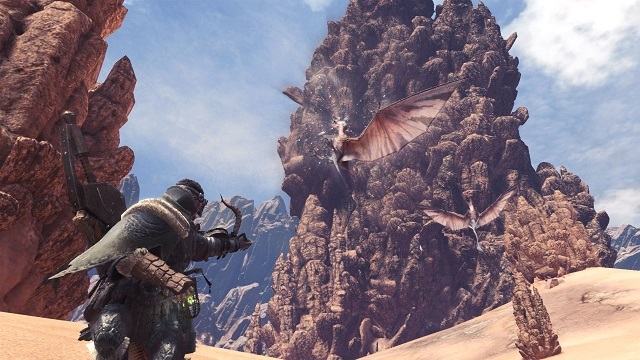 As I mentioned in my preview this game is the best time to jump into Monster Hunter if you never tried it, but for existing fans it’s also an amazing sequel that basically improves on every aspect of the game. It adds new tools and makes the experience more fluid and streamlined for new players and veterans alike. Unless you have a really tight schedule and can’t invest much time into this game I don’t see a reason not to try it. Even after finishing the story this is still the best hunting game to date and the best one in the franchise.